A beautiful, approachable smile can take you far in life. It can help you make good first impressions and give you the confidence you need to pursue new opportunities and foster great relationships. But if you weren’t born with a perfect smile, or your smile doesn’t look like it used to, you might want to consider cosmetic dentistry with Dr. Raymond Hatland. 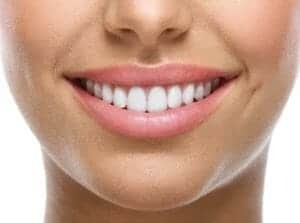 Using a variety of leading-edge techniques and materials, Dr. Hatland can transform the elements of your smile that you don’t like, leaving you with a gorgeous smile that’s perfectly you. 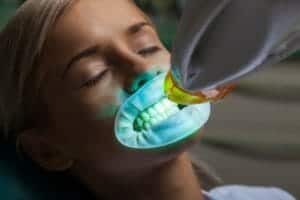 Cosmetic dentistry treatments and procedures are intended to fix or conceal aesthetic imperfections in the teeth such as small chips or cracks, stains, discoloration, spaces between the teeth or crooked teeth. Certain techniques can also refine the appearance of an overly “gummy” smile by improving the ratio of gum tissue to tooth. Dr. Hatland is a highly sought-after cosmetic dentist serving Chicago, Indianapolis and all surrounding areas. He uses the finest materials and the most meticulous techniques to create stunning results that can last for many years to come. Dental crowns are used for cases involving teeth that are broken, decayed, weak or otherwise compromised. These lifelike restorations encapsulate the entire tooth to add strength and protect it from further damage. Today’s crowns are stronger and more attractive than ever before. Veneers are another versatile restoration often used in cosmetic dentistry cases. These small pieces or “shells” of porcelain are bonded to the front of teeth that show when smiling, to cover up imperfections like chips, cracks, stains or discoloration. Veneers can also be used to conceal crooked teeth or teeth that are abnormally shaped or sized. They are custom-matched to the surrounding teeth for a flawless result. Tooth-colored fillings restore teeth with cavities. After the decayed tooth material is removed, a composite resin or porcelain material fills the leftover space to recreate the look and feel of a healthy, intact tooth. Tooth-colored fillings are not only more attractive than metal fillings but also better for the health and longevity of the tooth. Teeth whitening treatment improves the appearance of dull, discolored or stained teeth. A professional-grade bleaching agent is applied to the teeth to break up stains and lighten the overall color of the teeth. At-home whitening kits with personalized whitening trays can be used at home or on the go. Dental inlays and onlays are similar to fillings, yet more expansive. The restorations are custom-created in a dental laboratory to fit into the spaces left after decayed or damaged tooth structure is removed. A dental inlay fits within the cusps, or points, of the tooth’s chewing surface, whereas an onlay extends over one or more of the cusps. Both types of restorations are carefully color-matched to the surrounding tooth structure so they blend in seamlessly. For more information about cosmetic dentistry and how it can help you enjoy the picture-perfect smile you’ve always wanted, please call or email our practice today. We have offices located in Chicago and Indianapolis.